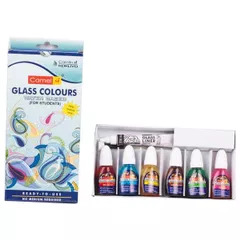 Camel Glass Colours Water Based Starter Set of 6 Bottles x 10ml & 1 Glass Liner Tube x 15ml. Perfect for Glass Partition, Glass lamp Shade, Greeting Card on Polyester Film, Acrylic Pen Holder, Dangler of Polyester Film and Many more. Redy to Use No medium required. 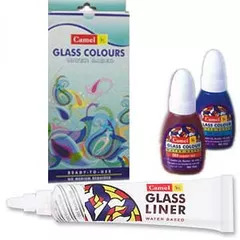 Camlin Introduces the first and the only water based glass colours. They are ready to use and are non-toxic, which means they are safe even for children. 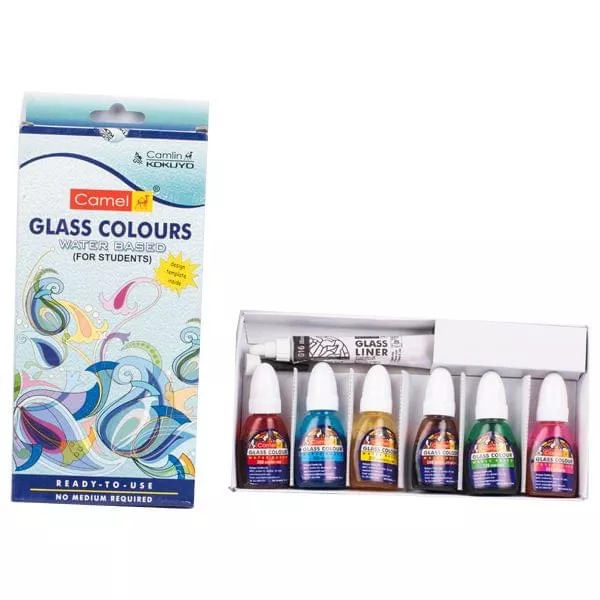 Camel water based glass colours make painting easy and enjoyable. 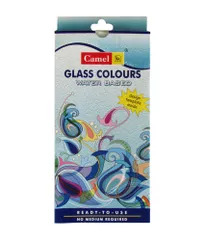 Just place a camel glass colour design below a clean plain or textured glass/acrylic sheet. Draw design outlines on glass with camel glass liner and let dry for 2 hours. Fill the design directly with camel water based glass colours by squeezing/ pressing the bottle gently. Let dry for 7 days, guarding from dust. Do not expose painting to direct sunlight or halogen lamps. Never immerse it in water.